I bought it last year from a friend trying to race the bike in german and european vintage racing. My last ride on a twinshock bike was just twenty years ago and now i�m 34 years old and i decided thats time to going with the old stuff. It was a nearly original bike when I bought the bike. 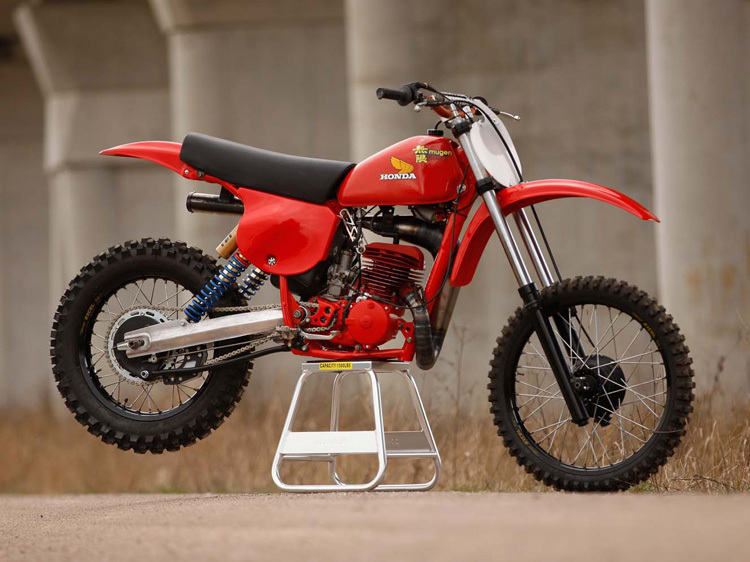 It is a 1978 CR250R with a production date of 01/78. it was imported from California to England and from there to Germany. My first ride with the bike impressed me that much that i decided to rebuild the bike in winter with the following parts. Hope you love the bike. I love it!